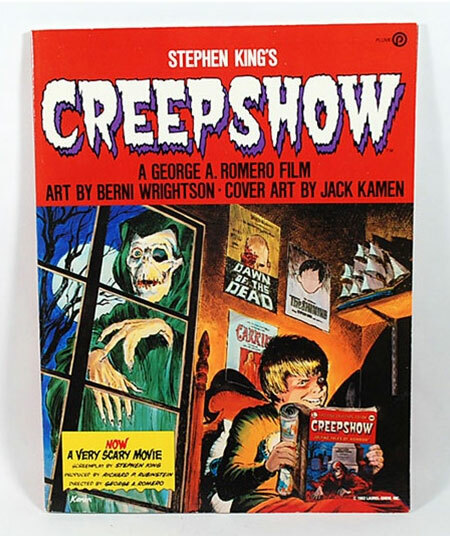 Here is everything you need to know about collecting Stephen King’s Creepshow, the softcover comic from the early 1980’s. Creepshow is a graphic novella published by Penguin imprint Plume in July 1982, based on the movie Creepshow (also from 1982). The movie, directed by George A. Romero and written by Stephen King, consists of five short films, two of which are based on earlier prose stories by King, while the remaining three were written specifically for the movie. 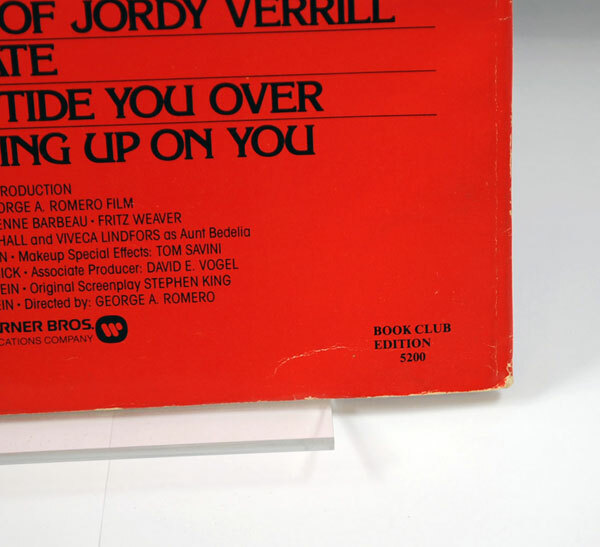 Stephen King is not only the author, but also appears in the movie, starring as Jordy Verrill, in the segment called “The Lonesome Death of Jordy Verrill”. The book’s interior art is by Bernie Wrightson with Michele Wrightson, with a cover by Jack Kamen. 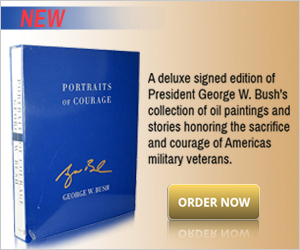 It is profusely illustrated throughout in full color. 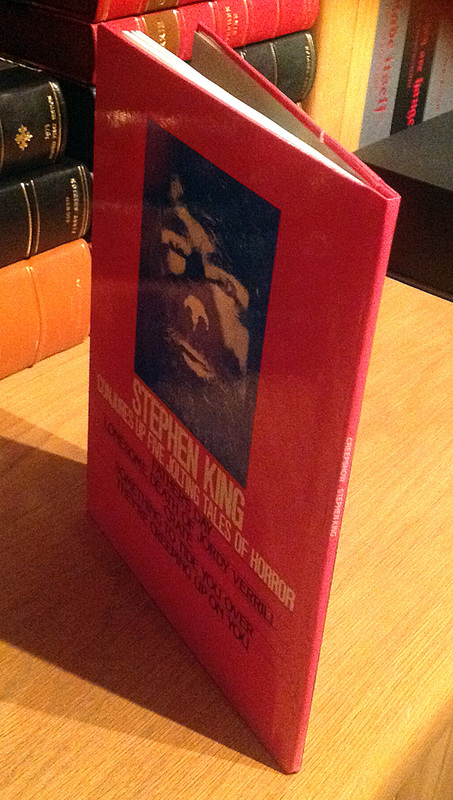 There is no introduction or afterword of any kind, although on the back cover it states “Stephen King conjures up five jolting tales of horror.” Interestingly, the short stories “Weeds” and “The Crate” have never been collected in a King book and both remain uncollected. no indication of a later printing and free of any BCE markings. A later printing of Creepshow will have a partial number line. For example, a first edition, 6th printing will have the following number line: 6 5 4 3 2 1. If you are in search of a first edition of Creepshow, the ideal find would be a copy in Fine condition. A true Fine copy will have no issues whatsoever, free of any edge-wear, writings, ripped pages, bookplates, etc. A Fine copy will also sit perfectly flat on a table-top surface without any of the covers warping or curling upward. Finding Creepshow – Looking to locate a nice first edition copy of Creepshow? The usual places are always best, including rare book shops, online auctions, book fairs, rare book selling portals, and even some message boards. The book club edition of Creepshow may well be one of the very few book club editions that also contain the full number line, similar to the first printing. 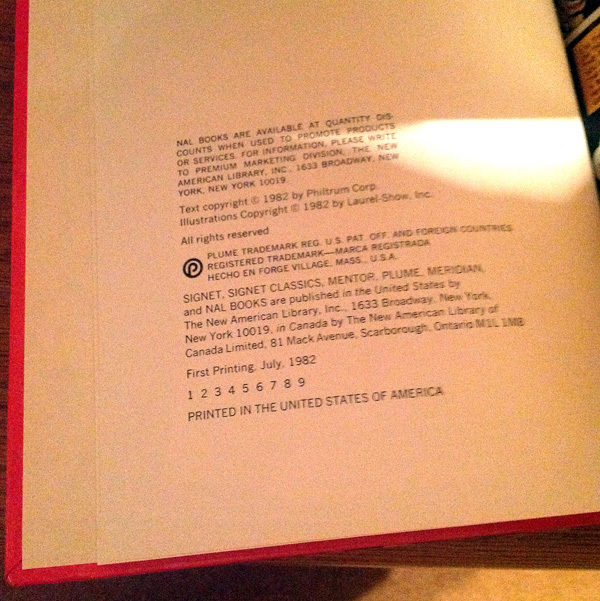 The BCE does not have a price as shown in the first edition, and is also missing “First Printing, July, 1982” on the copyright page. The most obvious indication that you have a BCE are the words “BOOK CLUB EDITION 5200” printed on the lower left back corner of the book. BOOK CLUB EDITION 5200 printed on the lowest right side of the book. 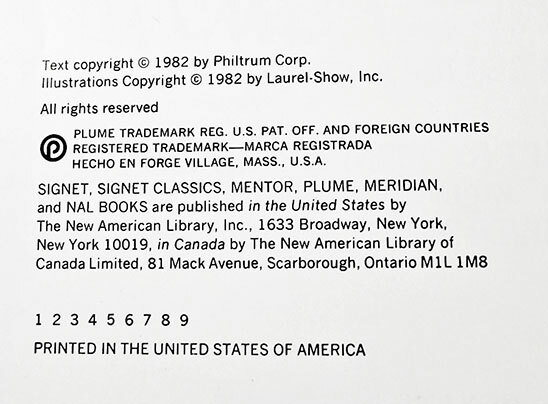 The BCE of Creepshow will have the full number line on the copyright page but lack “First Edition” as found on the first printing. Contrary to popular belief, a hardcover edition of Creepshow does exist, and includes all the correct first printing markings. This is an exceedingly rare copy, and the very fine example shown below. 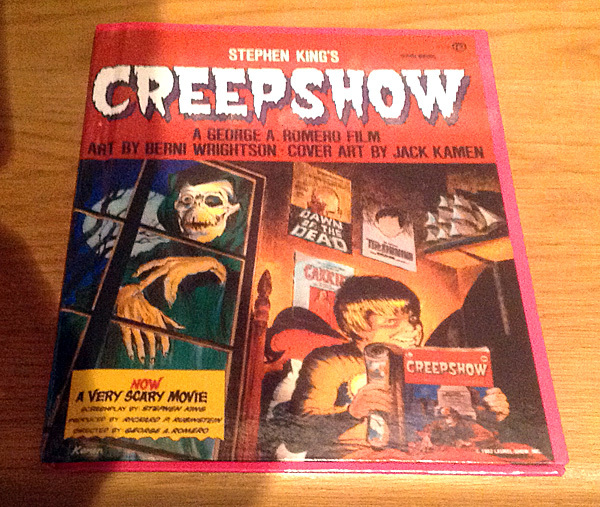 A first edition Hardcover of Creepshow with all first printing points. Temperature and humidity – High temperature and humidity will likely cause deterioration to this paperback, much faster than a hardcover book. Softcover books have components that more susceptible to high heat and humidity. The ideal environment for storage, whenever possible, would be between 35% to 60% in humidity at a max. 80 deg. F. An environment with high humidity can also attract mold growth, which requires 55% or higher to develop. Needless to say here, the basement or the attic would be a poor choice for storing such a softcover book. Is it too dry? Excessive dryness can also have a negative affect on the condition. Creepshow is now an old paperback, and it can simply dry out and fall apart if it’s in a place that is too dry. Sunlight – It is always best to keep your books away from direct sunlight and the same rule applies here. The sunlight will eventually cause discoloration to the graphics. Store in an upright position? – Should you sandwich Creepshow between two hardcover books in a vertical position on the bookshelf or simply lay it flat by itself? In order to preserve the spine, it may be best to lay it down flat or even propped up on a book easel. For extra protection, since it is fragile, you may consider storing it inside an archival-quality transparent plastic bag. These special bags allow enough air inside to let the book “breathe” and not be susceptible to moisture or mold growth. A plastic bags makes sense because it keeps away dust, dirt, pests, and potentially other hazards. 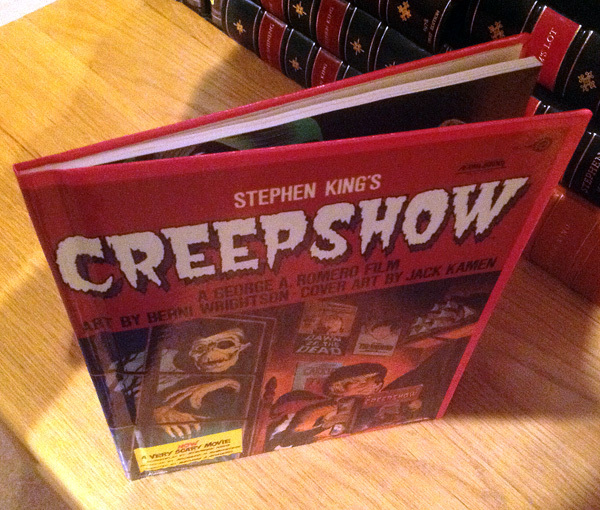 Keeping it clean – A fragile softcover edition of Creepshow also deserves periodic dusting and cleaning. Extra care should be taken since it’s not more durable like a hardcover. For more in depth information about caring for your collectible books, make sure to read our blog article Caring for Your Collectible Books. Related Category – Stephen King signed and rare books. Do you have any questions about collecting Stephen King books? Ask the expert. Your article was excellent. I have a copy with all of the bullet points from above – except my copy’s number line only goes up to “9” – just like the photo from the hardcover edition. It is not a BCE. I guess it is a first edition, 9th printing then? I have a book club edition of Creepshow but it is not in the best condition since I loned it out to careless people. I also have a stamped book plate with my name and from the library of Marie L. Penny on it. The cover is worn and the first two pages are just a bit loose at the bottom, otherwise the rest is in great condition. I will put it in a plastic cover now and lay it flat. It has been stored upright in a lawyers book case up till now.